A person experiencing a panic attack might describe the ordeal as crippling and traumatic. When extreme anxiety takes over the body, the heart beats faster, the person's breathing becomes difficult and the sufferer trembles and sweats profusely. Until today, medical practitioners cannot identify what specifically triggers an attack. What is known is that interplays of biological as well as external issues are partly responsible for the episodes. Hereditary Traces. The attacks may have something to do with genetics, experts believe. It could be that the panic disorder is genetically transmitted by the parents to the children, just like eye color and hair color are passed down from a mother to a baby. In several studies, the disorder is traceable in families. People afflicted with panic disorder tend to have a close family member who also suffers from panic attacks, depression or other disorders. "Fight or Flight" Reflexive Response. Several symptoms of a panic attack mimic the body's natural response to a present threat: enhanced physical strength and mental abilities, increased heart rate and accelerated breathing. The reaction is commonly referred to as a "fight or flight" reflex. What is unusual about panic attacks is that they occur in the absence of an obvious trigger or danger. Lowered Body Resistance. Major life stress can invariably cause a panic attack as well. Intense stress that follows sudden separation from long-time companions (in temporary and permanent situations) leaves the grieving individual vulnerable to panic disorder. A lowered body resistance during such period of loss is the suspected underlying aggravator. Vices and Withdrawal Symptoms. The possible triggers are not contained in the individual's genetic make-up and biological functions alone. The outside environment can also induce a variety of situations that might escalate to full-scale panic attacks. In the case of substance abuse, the onset of the attack may occur during intoxication or during rehabilitation when the individual undergoes a number of substance withdrawal symptoms as well. 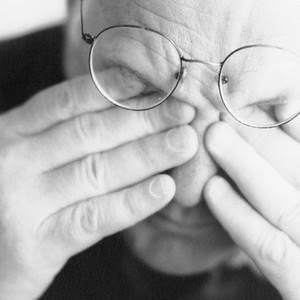 The fear of going through future panic attacks is one that is shared by all individuals diagnosed with panic disorder. Unfortunately, there is no way of telling when an attack would strike next. It is not unusual for sufferers to compound their own fear of the attack itself. Since they are unable to predict the timing of the episodes, many sufferers then resort to isolating, misinterpreting and immediately associating any felt discomforts (like palpitations or even dizziness) as precedents of a perceived attack. The onslaught of an attack may continue unless the individual receives treatment. There are several medications and therapies that can be administered to temper the panic attack symptoms and reduce the possibilities of a relapse.